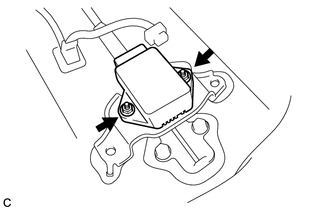 Refer to the procedure up to Remove Front Seat Assembly (See page ). (b) Remove the 7 bolts and No. 4 center member floor reinforce sub-assembly. 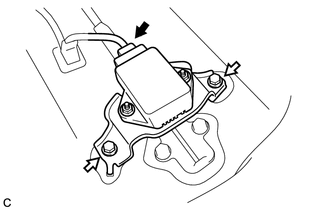 (a) Disconnect the connector from the yaw rate and acceleration sensor with bracket. (b) Remove the 2 bolts and yaw rate and acceleration sensor with bracket. 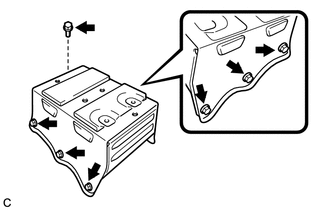 (c) Remove the 2 nuts and yaw rate and acceleration sensor from the bracket.